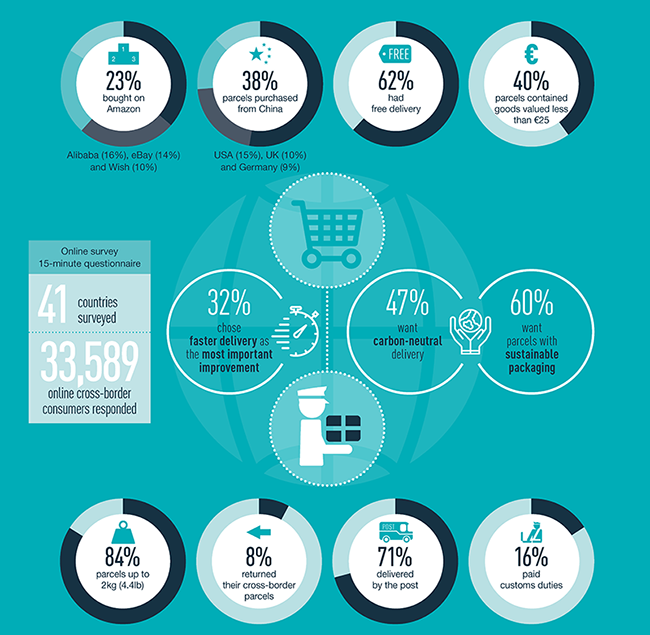 IPC’s fourth cross-border e-commerce shopper survey, which includes responses from 33,500 consumers across 41 countries, has revealed that 60% of respondents agreed that they would like their e-commerce packaging to be sustainable and 50% would be willing to pay €0.10 (US$0.11) for this. The survey also found that 48% of respondents would like the delivery of their parcels to be carbon-neutral, and 43% would be willing to pay €0.10 (US$0.11) for this service. In terms of the cross-border e-commerce landscape, IPC revealed that it is still dominated by China and large retailers, with China accounting for 38% of most of the recent cross-border purchases, followed by the USA (15%), the UK (10%) and Germany (9%). Japan and Hong Kong each accounted for 3%, and France, Australia, the Netherlands and South Korea each accounted for 2%. China has increased its share of the market by 3% in 2018, while the other four largest countries have all slightly decreased in share over the past year. 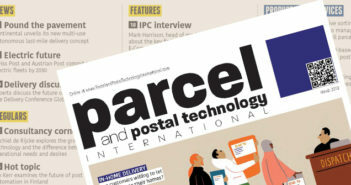 When asked about delivery, consumers confirmed that the post accounted for 71% of their most recent cross-border deliveries, and when asked about their preferred place to have their parcels delivered to, consumers said the most convenient delivery location was home (59%), followed by a safe place at home (22%), office/workplace (18%), and an alternative address (18%). The majority (84%) of cross-border parcels weighed up to 2kg (4.4 lb), of which 9% weighed less than 100g (0.2 lb), and 40% of goods purchased cross-border cost less than €25 (US$28.50), with 47% of respondents saying that this purchase would have fit into their mailbox. However, the trends also show that all consumers have increased expectations in terms of delivery speed year-on-year – when asked what one thing posts should do to improve cross-border delivery, 32% chose faster delivery.